The New MINI Coupe is great for all... sticky situations. MINI has started their ad campaign for their new MINI Coupe. The car looks great as it embarks on its world tour, showing that it is a &apos;jack-of-all-trades&apos; of sorts. In the videos you can spot the MINI going partying Brazilian style at Carnival, stealing girlfriends in Hong Kong and picking up strange hitchhikers in Iceland. 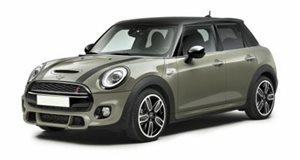 The new, versatile MINI packs a 1.6-liter inline 4-cylinder with an output of 188hp. The videos are aptly titled (in order): Sunday in Rio, Love is in the Air and the Hitchhiker. The Cooper S gains a turbocharger and 54hp for a total output of 172hp. Check out the video below to see the MINI in action during one of the more awkard conversations a pair can have in a car.